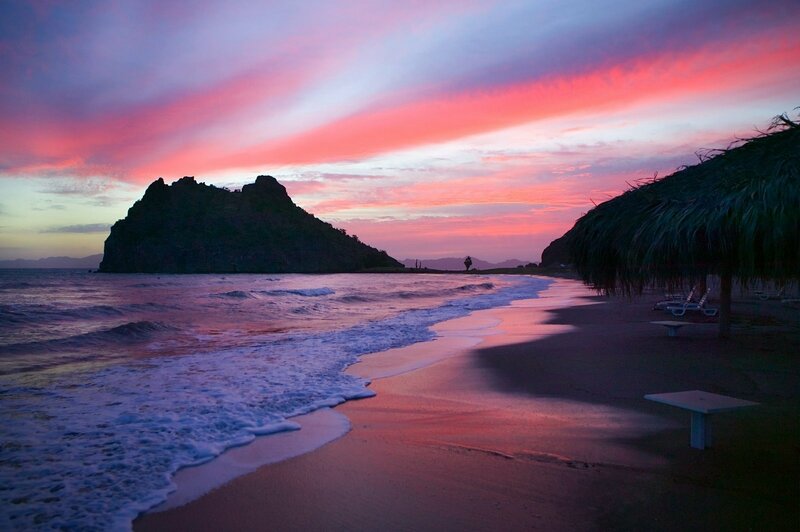 Step out from the protective shade of a thickly thatched palapa, greet the day with a sun salutation, and feel the warm rays carry over majestic mountains as they dance upon the glistening waves. 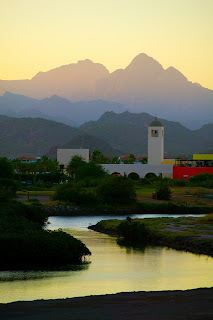 Say Namaste to Loreto Bay in Baja Sur, Mexico, the UNESCO World Heritage Site located on the western shore of the Sea of Cortez and home to The Mission of Our Lady of Loreto, the first of the California missions and the 300-year-old jewel of Loreto. Imagine if Cabo was still the blush on the peach. This is Loreto Bay. No group of fanny-pack wearing tourists slamming shots, no waiting an hour in line for Customs. 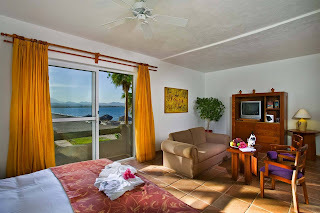 Here, you can do yoga, take in serenity, do a little whale watching, kayaking, snorkeling, scuba diving, and even explore some local cave paintings. Accommodations are available in a variety of full-service hotels, charming inns, and privately-owned one- and two-bedroom condominium residences. Conveniently positioned between the Sierra de la Giganta mountains, The Loreto Bay Resort, a 8,000-acre community, neighbors the quiet fishing town of Loreto and offers its newest escape: a three-night spa and yoga package introducing guests to the quieter side of Baja. 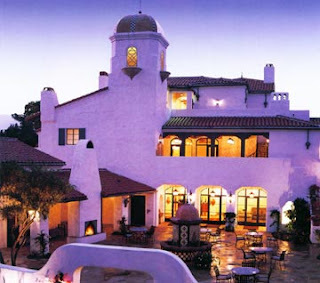 So check out three nights of luxurious guest room accommodations at the Inn at Loreto Bay; a full meal of healthy offerings, multiple yoga sessions with a certified instructor; one facial and reflexology treatment; a full one-hour massage; a choice of one manicure or pedicure with foot or hand therapy; one back and neck massage; and other relaxation services. And did we also mention… the resort is eco-friendly? Alaska Airlines also announced an increase in scheduled service from Los Angeles to Loreto. The new scheduled service will double the number of seats flown into the destination on a weekly basis beginning November 9, 2008 via two flights (Sundays and Thursdays) with 144-passenger, 737-400 equipment, and two additional 70-passenger flights on Tuesdays and Fridays operated by Horizon Air. 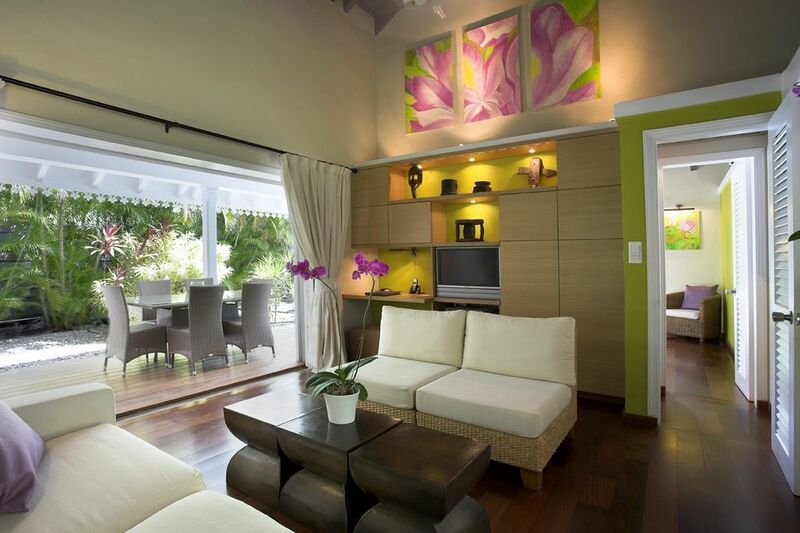 For the truly exclusive, try out the Butler Suites, each with a private pool, large dining area, and sun terraces with full views of the sea. 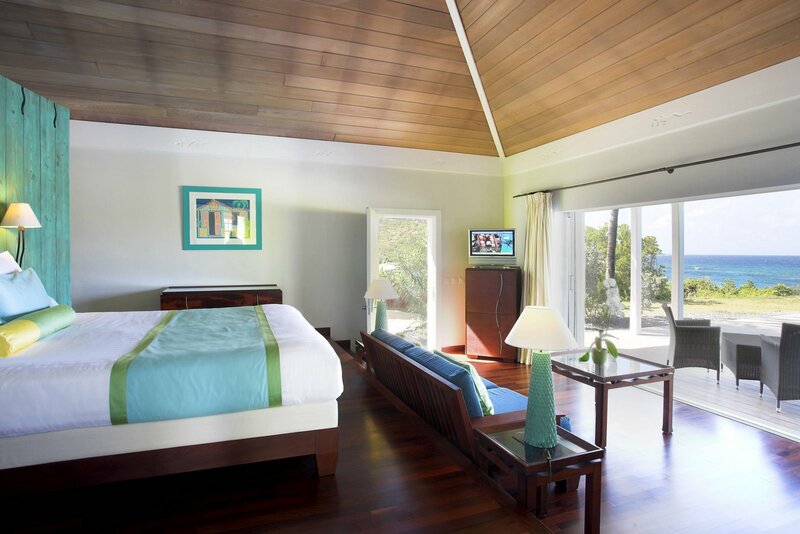 All rooms are fashioned in modern Creole style – rare dark woods and pastel shades. Pampering is one of our most popular pastimes so that means, unwinding at the full service Clarins Spa and getting coiffed at Frederic Fekkai’s onsite full-service salon. 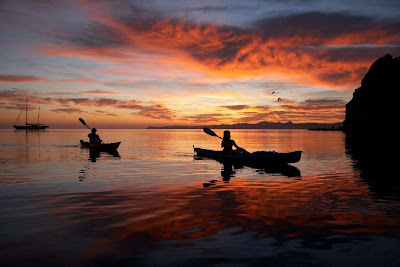 Since we’re also fans of more adventurous pursuits, we love their full range of land and sea activities including boat rentals, kite surfing, water sports and tennis. Hungry too? Not a problem, the superb global cuisine is overseen by world traveled, French Chef Philippe Masseglia, at the Guanahani’s restaurants, Le Bartolomeo, and L’Indigo. The Hotel Guanahani & Spa is also known for catering to families and couples, providing both Kindergarten and Junior’s programs free of charge, offering couples with kids a welcome respite in an idyllic setting on a coconut grove. 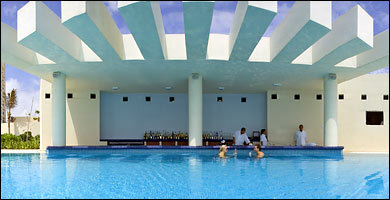 Le Ti, located in Pointe Milou, where you can eat and party with a different theme every night of the week. 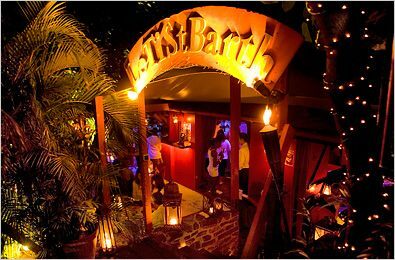 On Mondays, you can feel like you’re in two places at once… St. Barth’s and Marrakesh with their ‘Marrakesh Party.’ On Tuesday night, the theme? ‘Night Fever’ and the dress code is appropriately ‘wigs and color.’ The owner, Carole, even goes retro on Wednesdays for the notorious Plastic Boots Party. Expect to dance on some tables. In a very Euro chic kind of way, of course. Maya’s is another local dining favorite. 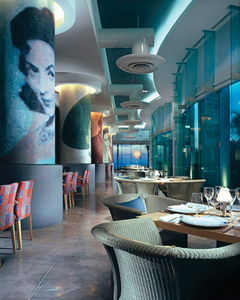 Elegant, yet beautifully understated, the menu boasts all the fresh fish and Creole cooking you can handle in a delicious and ‘uncluttered’ fashion. So, if you’ve got the dollah bills or the Euros, this is how you ought to be spending it, nay? This certainly ain’t your parents run-of-the-mill Cancun resort. Think the W’s modish elegance meets Ritz-Carlton’s flawless service. Fans include the likes of Paris Hilton, Kim Cattrall, and… me. When they say awaken your senses, they truly mean it. Right down to a nightly choice, delivered straight to your room, of six aromatic oils blended specifically for the hotel. Intoxicating, sensual, and unique. Just like you. Sure, anyone who’s anyone knows about the Four Seasons Resort Maui, but do they also know about their brand-spankin’ new demi-blending scent analysis? Through a discussion with your mélanger, along with an in-depth computerized test, personalized perfume sessions target elements of your personality and aspects of your health that directly affect the scents – and senses – you’re drawn to. Ajne Rare & Precious, the expert all-natural and organic essential oil perfumerie out of Carmel, California, is run by husband and wife duo, Jane Hendler and Rex Rombach, and Handler personally trains each mélanger at the Four Seasons Resort Maui to guide you during your prêt-à-porter fragrance consultation. Hendler is one of the few accredited Certified Master Essential Oil Therapists in the nation and has been called the ‘Star Perfumer’ by US Weekly. Some of her clients have included Jessica Biel, Reese Witherspoon, Alanis Morrisette and Rob Lowe. In addition to owning their own lavender farm in Carmel Valley, Jane and Rex work with small growers from around the world to obtain the organic and sustainably-harvested fruit, flower, leaf, grass, wood, lichen, fungi and spice oils that Jane transforms into parfum, lotions and skin care preparations in her Carmel laboratory boutique. 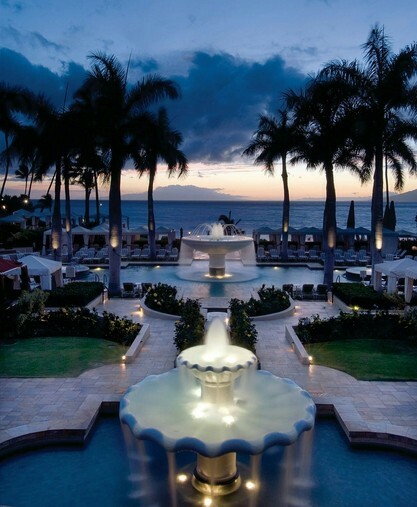 Hand-blending each formula to a customer’s specific needs, Handler also developed a signature scent for Four Seasons Resort Maui, Palena`ole, available at the Spa’s retail. So bring the sweet smell of vacation home with you. Feel like a guided aromatic meditation? Might we recommend a personal aromatherapy session with Renate, the on-site Artist-in-Residence, at the Ojai Valley Inn’s Artist Cottage and Apothecary? This German beauty will guide your senses through a holistic journey of self-discovery in a variety of media, whether it’s pottery, painting, drawing, wreath-making, or, my personal favorite, scent. Allow for time alone or share the experience with your family and friends. I had the pleasure of being guided through an afternoon of aromatic self-discovery with my husband – who just happened to develop my current favorite anointment he lovingly called ‘Orchard Floor.’ It was the perfect experience to end a perfect birthday weekend. Each scent is composed of essential therapeutic oils which you can also introduce into lotions, gels and creams that will carry your own name. Also worth mentioning… The Personal Mandala class, another Signature Ojai Experience, recommended at times of transition or when seeking clarity. Quiet and introspective, with insightful feedback from your instructor, these sessions reveal a deeper meaning to what lies on the paper. 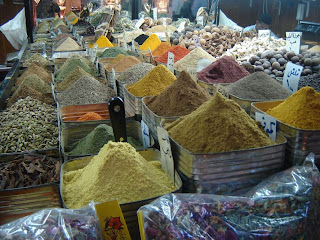 Part II of our newest Contributor, Singapore-based, Hajar Ali’s series, continues to give us a taste of the Middle East with her take on Syria’s sweet and spicy souks. 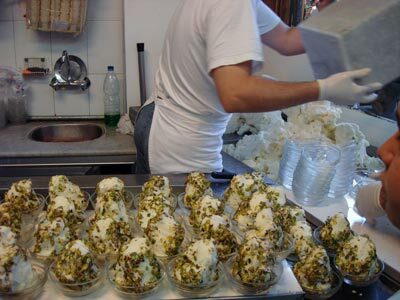 A trip to the Souk Hammadiyeh isn’t complete without a trip to Bakdash, an ice cream store that’s virtually an institution in Damascus. 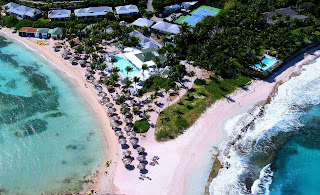 It’s the place for family get-togethers, couples going on dates as well as a celebratory venue for engagement parties. Bakdash sells only one type of ice-cream, a delicious white concoction with a generous coverage of pistachio. Tony Stephan’s antiques store at No 156 is also renowned for having the finest quality at the best prices. With a range of textiles, mother-of-pearl inlaid furniture, antique Bedouin jewellery, and intricate copper and brassware visitors have included dignitaries like Jimmy Carter and Nancy Kissinger. 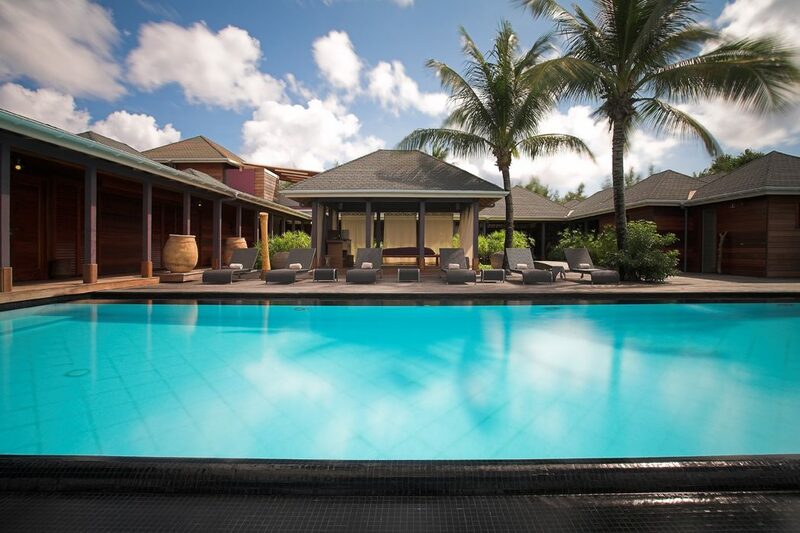 In addition, check out the ultra-chic Villa Moda, a boutique converted from a 17th century stable, stocking labels like Stella Mc Cartney and Azzedine Alaia. The street food in Syria was amazing– a welcome departure from the mezze I’d been having for breakfast, lunch and dinner so far in Syria. Once, we’d stopped by a street stall to buy something resembling falafels and the store keeper had in turn plied us with slices of hot thin-crust pizza (so good we’d asked for the name, of which I can’t remember now) and vehemently refused our attempts to pay for the pizza. Travelling is one activity where you’d always gain more from your interaction with locals, the other travelers you meet along the way and the richness of experiences than what you’d be able to give in return, but Syria is one of the places where the feeling of taking more than what you give gets rather overwhelming. Two days later, I temporarily parted ways with my travel companions- they were headed to the Krak des Chevaliers and I, having fallen under the spell of Zenobia, the Warrior Queen, was headed for Palmyra. 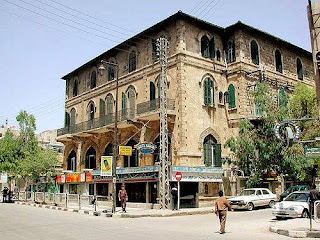 We’d arranged to meet in Aleppo, staying at the Hotel Baron, which we’d all agreed would be an interesting choice of accommodation given the history behind it. A fascinating jaunt into the past… and a welcome embrace to the future. Talk about The Sisterhood of the Traveling Jeans! This denim line has taken traveling to the next level with a concept – and fit – second to none. I mean this with every fiber of my being when I say… MEK Denim has some of the best styles – and fit – that I’ve ever come across. The journey of their jeans is simple – each style is appropriately inspired, and named, after the Owner’s favorite locations around the world. Feel like a casual jaunt to Boulder? There’s a jean for you. How about a hanging in Dubai? They have a sheik style with your name on it. A night out in Cape Town? No problem! Let your jeans do the traveling with you. What was the inspiration for the journey of the jean? After graduating from FIT in the early 1990s, Chen immediately started designing with a line of cashmere sweaters and men’s dress shirts and ties for a private label. He then worked on the retail side of the industry with a chain of boutiques. “It was a way for me to understand the different aspects of the business before I was ready to launch MEK in 2005,” Chen explains. And understand he does. Right down to tasteful embellishments, the perfect amount of stretch, and well-placed pockets that lift that saggy or flat bum straight to the skies. So why did he choose to design jeans? We agree with you, Kev. 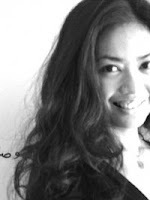 Say hello to our newest Contributor, Singapore-based, Hajar Ali, the founder of Urbane Nomads (www.urbanenomads.com), a niche travel agency that seeks to deliver the most unique travel experiences, whether in localities yet to be discovered or favored tourist destinations. Urbane Nomads actively promotes new, exciting design, taking an active interest in the culture and history of the area with intelligent tours that aim to go ‘under the skin’ of the place. Two years ago, I spent more time than scheduled in Lebanon, experiencing a relatively sedate New Year’s Celebration in Beirut, affected both by the somber political mood in the wake of Hariri’s assassination, a sullen economy, and an increased hostility towards neighboring Syria. I’d crossed overland to Damascus via the Lebanese-Syrian border a few days after the New Year. Over my next few days in Syria, the UN commission investigating the assassination of Hariri would seek out an interview of Syrian president Bashar al-Assad, its foreign minister Farouk al-Sharaa and former Syrian vice-president Abdul Halim-Khaddam in connection with Hariri’s assassination. Spilling over from a pro-Hariri demonstration I’d witnessed in Beirut, there were increasing calls for Syrian troops to move out of Lebanon. By the end of my stay in Syria, I witnessed the mobilization of Syrian soldiers and the increased prominence of UN vehicles on the streets of Damascus. 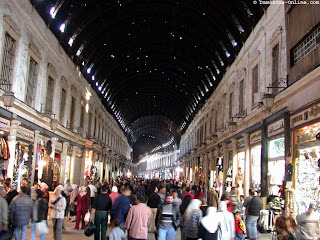 In contrast to Beirut’s landscaped sidewalks, clean streets and fresh, clean air, the streets of Damascus felt chaotic, the air dank and it was all too apparent I had crossed over to another country. The taxi driver couldn’t seem to find my hostel and after what seemed like an hour on Damascus’ chaotic streets, I’d changed my mind about staying in a hostel. 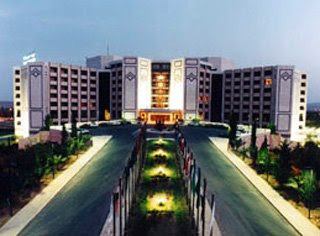 I’d thought of Damascus’ boutique hotel installation, Beit Al-Mamlouka, but didn’t want to risk confusing the driver again so I went with Cham Palace Damascus, an indigenous chain of luxury hotels that I thought would be instantly recognizable. That seemed to be the right call when I found myself comfortably ensconced in the lobby of Cham Palace within the next twenty minutes. 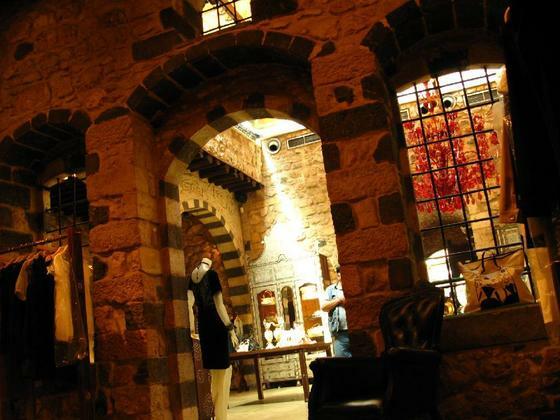 Checking into the hotel was an instruction in Syria’s artisanal culture. Everything from the lobby to swivel chairs and the lift were decorated with an elaborate inlay of mother of pearl and ivory characteristic of Syrian decorative style. The Lebanese designer Nada Debs (www.nadadebs.com) had found international acclaim incorporating the decorative mother of pearl and ivory inlays within the more contemporary medium of Lucite as opposed to the traditional wood-inlay combination. In the lobby, I met two Italian ladies who had smiled kindly at me at the Lebanese-Syrian border while we were awaiting our entry visas. 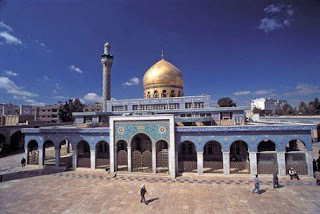 One of them invited me to join them to visit the Omayyad Mosque and Souk Hammadiyeh later in the afternoon. I was glad for the company and help navigating around the city. I have an awful sense of direction, completely unable to make sense of a map and anyway, have always thought it more useful to ask locals or long-time residents for directions rather than go around with a huge map in hand. 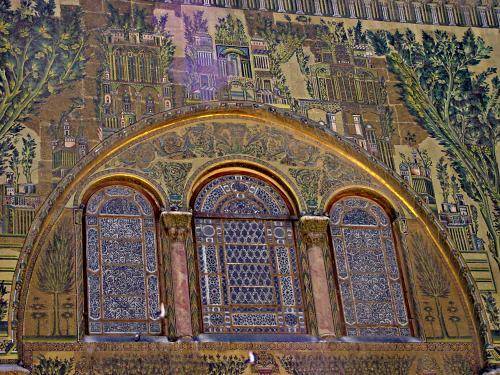 We were headed for Souk Hammadiyeh, but not before stopping by Omayyad Mosque. 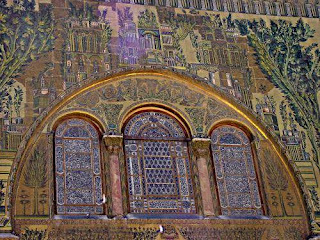 The legends and mythology surrounding Omayyad Mosque are fascinating. Muslim tradition believes that the severed head of John the Baptist is contained in a silver capsule in the prayer hall with an alternative theory being that it is the Knights Templar that has possession of this severed head. 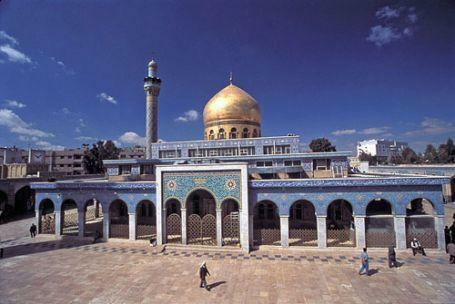 The tomb of Salah ad-Din, or Saladin to Crusaders, is located within the compounds of this mosque. The eastern minaret, or the minaret al-Issa, is believed to be the place where Prophet Issa (Jesus PBUH) will descend, on the wings of two angels, during a time of crisis to lead believers in their battle against the Antichrist. Stay tuned for Part II of Hajar’s Middle East jaunt!